I wish I could have attended the opening of Walt Disney World in 1971 (some of you reading this probably did – lucky!). One of my all time favorite Disney films from that time period is called “The Magic of Walt Disney World.” It was released in 1972, but I recall seeing it on the Disney Channel in the 1980s. What a classic slice of Disney – the lush sounds of Buddy Baker; the images of polyester and people eating food; groovy music in Tomorrowland and just pure 1970s Disney fun. A different time and a different place. 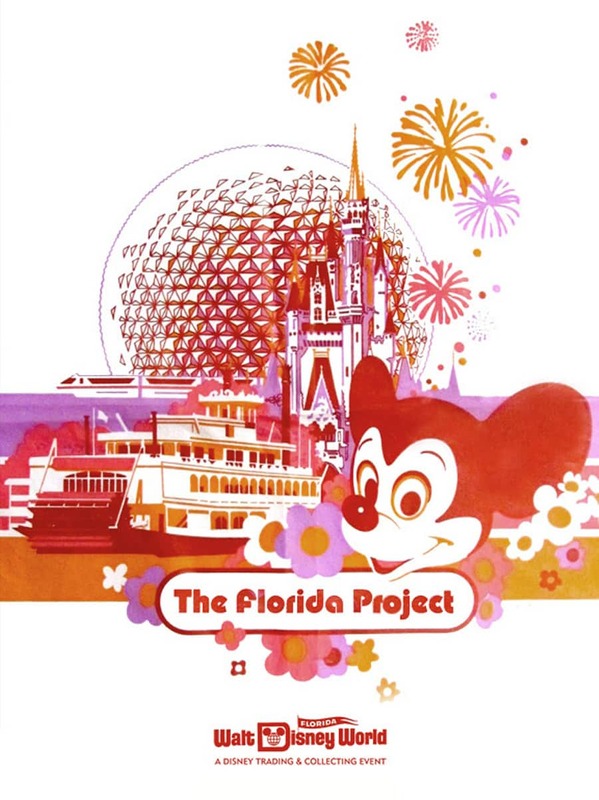 It is in that same vein that I’m pleased to announce “The Florida Project: a Disney Trading and Collecting Experience” coming to World ShowPlace at Epcot on September 9-11, 2011. The image above is a rough concept poster designed by Chris Chapman from Disney Design Group. He is the lead designer for this event and spoke about the origin of this event. When we had our initial idea session, I brought several of my vintage Disney items to share (it’s one of the things I collect – Disney merchandise from 1970 to 1984). 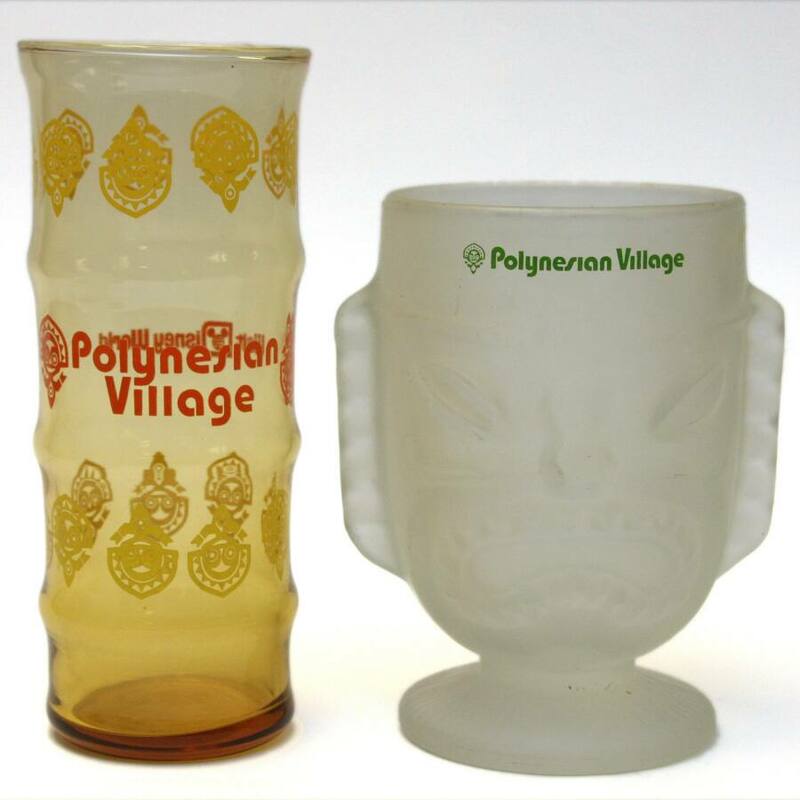 We looked at vintage postcards, at images in souvenir books and even at my Polynesian Village glass vase (behold those 1970s colors). We all agreed that we wanted the merchandise created for this event to have a similar vibe. As mentioned, this event will be a Disney Trading and Collecting Experience. This means you will find a variety of items from pins to Vinylmation to potentially some additional categories. And there will be trading (of course). I consider this event an evolution of our Disney Merchandise Events. We still have plenty of details to finalize, and feedback to consider from our previous events. 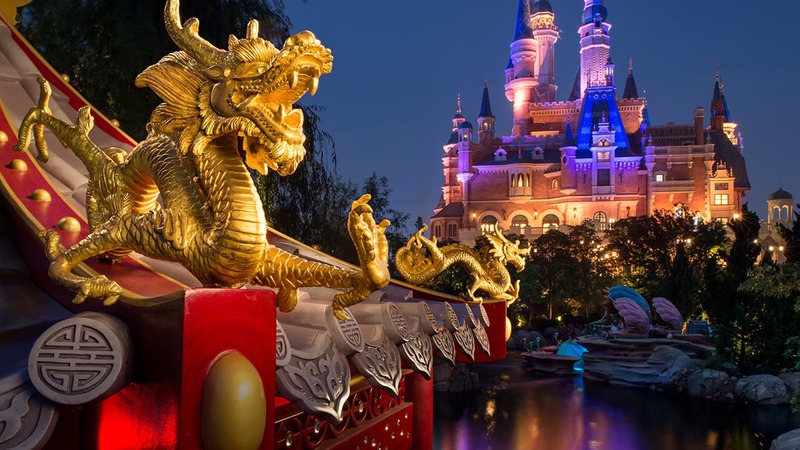 I will share additional information in the coming months on the Disney Parks Blog, so stay tuned. 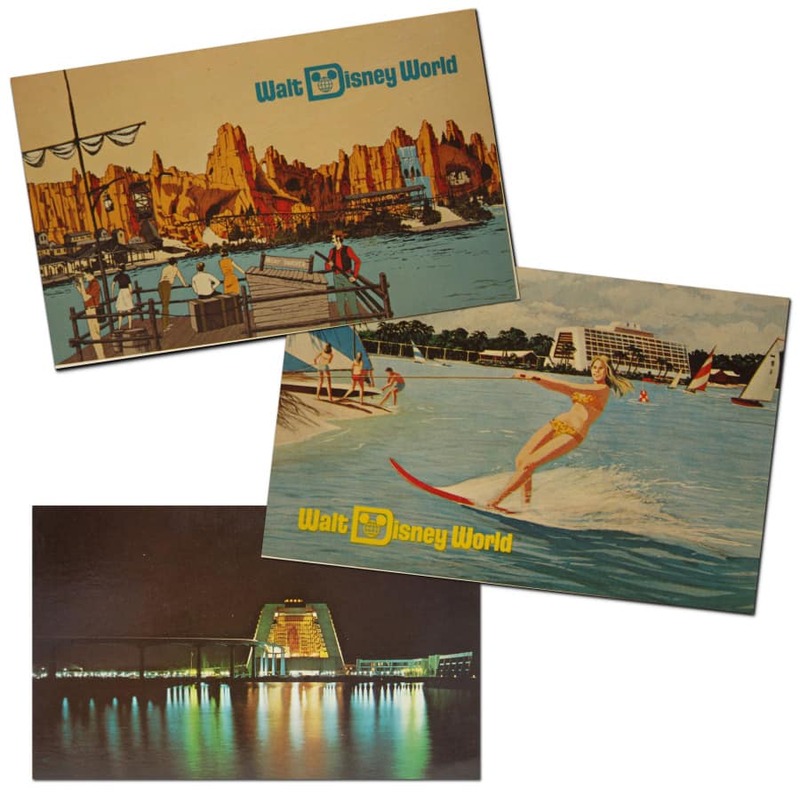 I leave you with one final question: Did you visit Walt Disney World in the 1970s? What was it like (as sadly my time machine is still not functioning)? I’d love to hear your stories. I needed to add my first memories of WDW. My parents and I went for the first time in 1972 just a short time after it opened in 71. I remember the horses and being able to ride the drawn carriages around Main St., I remember there being no flys or mosquitos in spite of the August heat and the fact we were in Florida! I remember the wonderful pastel colors of Fantasyland and the Tiki Room the original and being scared of the thunder and lightening. The Haunted Mansion was scary too!, what a hoot that is now with the lengthening room. Tom Sawyers island was alive for this 5th grader at the time as we had read this book for school and put on a musical about it too. There was the alpine gondola ride which I miss, and 20,000 leagues under the sea. My dad got claustrophobic :). My mother got ill on the tea cups, but enjoyed the train ride around the park, and in those days all the animatronics (like the Jungle Cruise) were state of the art and looked really real to 9 yr. old. My parents remember the .50cent parking and didn’t mind paying because there were tram cars and cute animal signs to remember where you parked. We stayed at the Howard Johnsons which was right outside the park complex and there were still orange groves everywhere! So I hope this helps Steve, it was a great trip down memory lane for me, and boy I can still smell those orange groves and am reminded of this memory during the 21st century “Soarin” ride every time we visit with my children. By the way we are DVC members. Go Figure!!!!! I first visited WDW in the summer of 1972 with my family. What wonderful memories! I miss the old logo and hope it gets brought back. In the summer of 1977 I fulfilled a lifelong dream to become a “Disney Tour Guide”(a dream that started following a guided tour of Disneyland when I was in first grade!) I loved being a Walt Disney World Tour Guide and giving tour around the Magic Kingdom. What wonderful memories. I will mark my calendar now for next September. How do you join the Disney Pin Trading Event Club? I have been trying to join for some time now and haven’t been able to figure it out. I would love to join! Is it only for Sept. 9-11 2011…we are coming down for 10 days but we get there for the 12th…this will be our 4th trip. And,we are celebrating our 22nd Anniversary…my Dad has been a collector of Disney for many years and now I have all of his items and movies,music boxes,statues,it is a great collection.And we love the pin trading!!! I wasn’t at the opening of WDW, but I do take some small solace in that I was at the NY World’s Fair! This is the kind of event I would definitely fly out from CA for! Just please remember to do some higher end collectible pieces and not limit the merchandise to only pins, vinyl and t-shirts. The good old ceramic and resin highly detailed pieces always make great collectibles and this sounds like the perfect time to bring in some vintage looks! Thanks! Steven, I’ve heard that the Park 5 vinylmation is going to be 12.95 and the Holiday 2 9″ is going to be 48.95. Is this the case? Thanks! We still have a set of A-E tickets! My first trip (of many) was in February 1973 when I was 2. We always left Virginia in the afternoon and my parents would drive all night so that we would wake up at DisneyWorld. My parents still talk about the cold snap on that first trip, as is evidenced in our family movies showing me in a white “fur” coat and of course my sunglasses. I still have my Eeyore from one of those early trips. He’s a stuffed animal, but very hard – not cuddly at all. And I still have the ticket from our room at the Contemporary on that first stay. I remember as the years passed we always stayed at the Contemporary. I also remember the first year that I received a pass that I wore around my neck that allowed me unlimited rides! Unlimited! I remember riding the Teacups over and over and over just because I could. No more ticket books. Of course that’s the norm now, but it was a BIG deal back then. From those earliest trips I remember that the characters weren’t always “Disney” – you’d see the 3 Pigs, the Big Bad Wolf, and of course Mickey, and they’d just be walking down the street – no lines to meet them. I had forgotten about the Orange Bird until I read Lou’s post, but I think I still have one of the plastic round oranges your drink came in. Great memories! My first visit was in ’78 (at 6 years old) and while I have “my own” special memories of the trip (thanks to good ‘ole instamatic cameras that inserted the month and year on the corner of every photo), what I love about reading the other 72 comments so far is the commonality of the experience! As others have said, I was in awe of the sheer size of the place. Things like the monorail’s trip through the Contemporary were unbelievable. What’s even more interesting is that the same things seem to be universally missed: roving characters, specific rides (20KLUtS, Mr.T’s WW, etc), the Main Street Magic Shop, and, much to my great joy: the Big D logo with the longitude/latitude globe in the middle of the mouse-head. Anyone else, however, remember the air-gun shooting gallery in the arcade of the Contemporary? If I’m not mistaken, it’s still there – I have to admit that I go too often to remember specifics on each trip. The old ticket books would be an amazing trip down memory lane – of course as far as I’m concerned they are ALL E ticket rides. My first trip to WDW was in 1979 when I was 10. We came over all the way from the UK – none of my friends at school had ever heard of Florida, let alone Disney World – my how times have changed since then!! We stayed in the Vacation Villas & we could see The Empress Lily from our windows! I loved looking around the Disney Village & I too still have some shopping bags like the ones pictured. This is where my love for all things Disney started. I have an idea! Why don’t you make that round thing with the different images of attractions at Magic Kingdom (I think it’s a coaster…) a pin set? We were shooting TV commercials in Fort Lauderdale in early 1972 and as a Disneyland nut, I convinced my co-workers that we should charter a plane and fly up to WDW on the Sunday we had off and visit the Magic Kingdom. So we chartered a small 4 passenger plane and the pilot flew us right into the Magic Kingdom, landing on the airstrip to the north of the Contemporary Resort Hotel. We spent the day at the MK, then flew back down to Lauderdale. I particularly remember the Haunted Mansion, because I was so used to the New Orleans mansion at DL. Unfortunately, there were no Mountains in the MK in 1972. 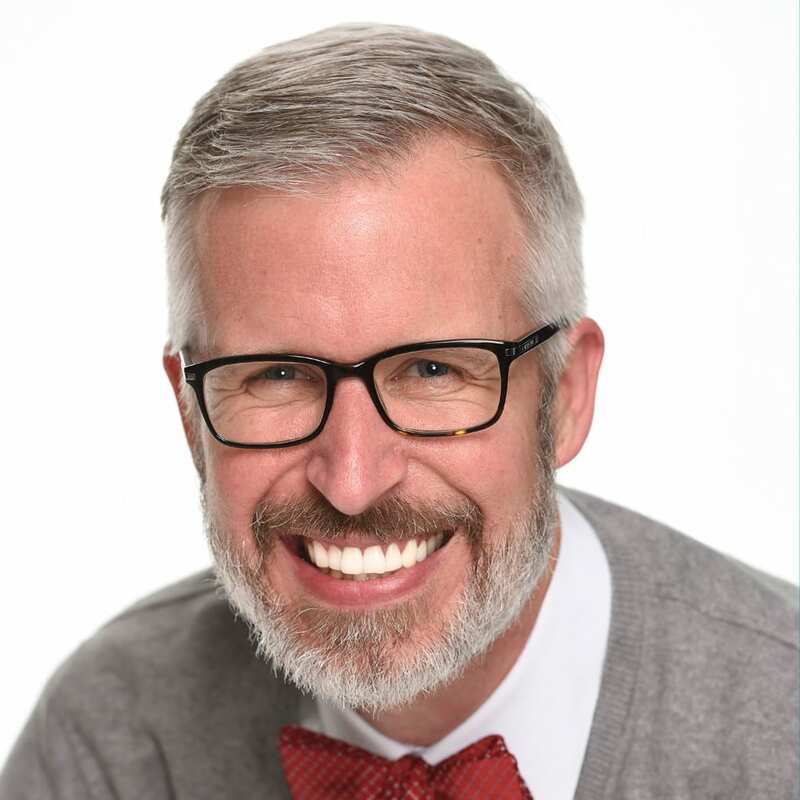 Well now, Steven, judging from the long list of posts here, it looks like WDW does in fact have its share of fans who cherish and respect the past and are passionate about sharing those memories with others. a vinylmation series on disney characters within the 70s. Some ideas can be goofy, mickey, donald, jimmy cricket, the fox and the cat, captain hook, or the country bears. They would all have distinct costumes and facial features that relate to their 70s style looks. Also a retro park series based on certain attractions and themes would be a good vinyl series. Theres alot i can except from the florida project event next september . This will be my first outing of a event besides the sci fi academy at disneyland california. This sounds very cool. I went to Walt Disney World for the first time in February of 1972 for my 11th birthday. I have some stuff I purchased back then and collect things from that time period as well. I wish you could change the venue to the Contemporary though. It fits in with the whole theme (it was there in ’72) and it overlooks the Magic Kingdom. Just a thought. I’m very excited about the event! My memories of visiting are pretty dim since I was so little at the time. I do remember getting a kiss on the cheek from Minnie at park opening, being surrounded by the Three Little Pigs, and fretfully staring at the Haunted Mansion attraction poster (and then loving the ride). As you mention, the character costumes from that era did have a distinct look. Wouldn’t it be great if some 70s era Mickey and friends showed up at the event? Would love to see them again. WOW! I love seeing all the old-schoool merchandise. It brings back so many memories. My first trip was in 1979 with my family and I saved some really old merchandise from back them. I’m not sure if we’re going to be able to go this time next year, but we’re going to try just for this event. How do you get tickets for this event? My Dad and I tried very hard to get tickets for the “Trade City U.S.A.” event but everyone that we asked at Walt Disney World had no clue what we were talking about. That is our event page for The Florida Project. Registration won’t begin until probably Spring 2011. Hope to see you there. my best memories of disney in the 70s revolve around fort wilderness. my dad, mom, sister and i used to camp in our truck camper, i think our 1st trip was in 74. before the trip, and sometimes on the boat to the magic kingdom, my dad would throw all his change up into the air so my sister and i could hang out at the game room at the campground or at the contemporary – their game room was HUGE!! we loved the movies outside with chip n dale (still do, even in our 40s). there was a train that went around the campground, in many places you can still see the timbers. a horse drawn cart food items for sale. checkers on the porch. the marshmallow marsh! playgrounds with teepees and totem poles. ‘ya’ll come’ to the hoopdedoo review. in the 70s, you could swim in the lake; there was a wooden raft with a slide and we didn’t worry about amoeba…then along came river country and we didn’t care eabout the lake anymore! the lawnmower tree showed a lot more of its mower. my mom died in 76, so we only enjoyed a couple of years with her at disney. but we still camp at fort wilderness at least once a year, and go to the parks 12+ times a year. I grew up just an hour or so away from Disney World so as a child it was a common occurance for us to go. It’s funny that now it takes months to plan a trip but I can remember waking up in the morning as a child to find out that we would be spending the day there. I was born in 1972 so I wasn’t at the opening and my early memories are from around the late 70’s and early 80’s. One of the things I do remember the most is driving into Disney World(the only park at that time) and seeing all of the shrubs and trees cut into topiaries of the Disney characters. I always got so excited! Driving under that welcoming arch still makes me just as excited. I cannot wait to go back to Disney World. I love sharing Disney with my children. The magical Disney touch is such an awesome thing. They understand how every minute detail works together to create such a magical experience. It’s truly amazing and has been since day 1! My first trip was in 1972, I was 10, it was a day trip. We took a guided tour of MK, the guide had a blue plaid outfit (skirt, long sleeve white shirt, plaid vest and blue riding helmet sort of hat) I remember the original monorail trains had doors that had to be individually closed by the people working @ the monorail station. Tony’s Town Square Cafe used to serve breakfast and had the best pancakes!! There wasn’t a stage infront of the Castle and you could walk through it and see the mosaic story of Cinderella. My brother loved the magic shop on Main Street, he bought invisible ink and kept “spilling” it on me – lol. We don’t have any ticketbooks because my mom thought it was nice to give them to people coming in as we were leaving, oh well. I am now a DVC member and have visited WDW over 30 times, but am still nostalgic for the “old days”. And its sacereledge to throw out a WDW bag or map etc.in my house so I have all of them including the ones I kept from childhood that look like the logo… oh the memories. My first trip to the Magic Kingdom was on 3 days during Easter week 1972, I was 9 years old. My family still lived in N.J. at the time and just my dad and I came to Florida to visit his parents during my spring break. I remember going one day with my grandparents, one day with two of my cousins who lived in FL at the time and one day was just my dad and I. As far as my memories of those visits….pushing my cousin (about my age) around the park in a wheelchair (M.D. 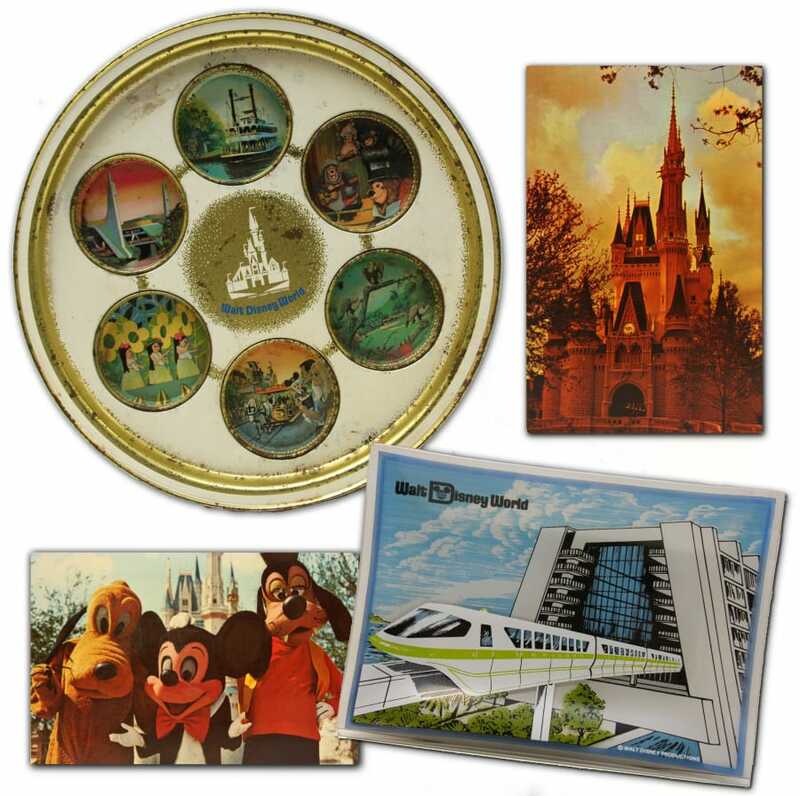 ), meeting so many characters, the TONS of souvenirs dad loved spoiling me with (took them to school for “show and tell”) and the “WOW” of the Monorail going through the Contemporary Hotel; one of the few “signature” images of the Walt Disney World Resort. All but 2 of my souvenirs from those visits are gone. I still have a Magic Kingdom Guide Map and a Mickey Mouse Watch in the case. Having these are great memories but my true treasures are the photos my dad took. He put together a small photo album (remember 110 film) just for me of our vacation which most of the pics are of our trip to WDW. These pics are like a link to the WDW past….Mad Tea Party without its roof, the original parade with the marching band, the characters; some costumes were different then like Pooh, the way people dressed and the TREES!, so young and you could see right through the park! Over the years I’ve been to WDW countless times and every time I go back I think about my first visit. I tell my daughter about how this or that used to be and she always says “really”. I have my dad to thank for my memories of WDW in its first year and feel sorry for those who don’t know what it was like. Wish I could share my photos with you. As great as WDW is today…in many ways it really was better then. We are going for our 40th anniversary – which is Sept. 11th! This looks like another great event to follow up on the retro feel of the Dateline Disneyland Event. Speaking of that event, I do not think it was ever officially announced what the edition size of the Black and White Chaser pins from the Mystery Press Pass set were. Do you think you can include that in a future blog entry? Keep up with the merchandise featuring the lost icons of the 70s and 80s like the Orange Bird, Mr Toad and SMRT-1! @George – The answer would be 55, of course 🙂 And SMRT-1 rocks! Oh the hours spent in CommuniCore. I’m sure I’m not alone. I also liked the game where you had to move the taxi around the screen. My first visit to WDW was in December of 1973 (about 10 days before the opening of Pirates of the Caribbean). I was 12 at the time. The Arab oil embargo was in full swing and we found ourselves in an almost empty Magic Kingdom. It was beautiful as it was decorated for Christmas. The most memorable part of our three day visit (we stayed at the Contemporary) was having 4 of the 7 Dwarves, 3 Little Pigs and the Big Bad Wolf hang out with us for the better part of an hour. It didn’t seem as though there were many kids in the park that day and they must have wanted to hang out with some youngsters (my sister and I). We took pictures with them on Main Street, in Fantasyland and at lunch at the Tomorrowland Terrace. That would never happen today! I also remember some of the unique shops on Main Street, mainly the House of Magic. My dad bought my sister a Charlie McCarthy puppet there. That trip was just the beginning of many! We’re now DVC members and visit for at least 10 days each year.